A vaccine for dengue fever is set to be tested in India as concerns mount about the wider spread of the disease around the world. 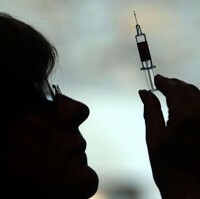 French pharmaceutical giant Sanofi Pasteur will initially trial the vaccine in approximately 120 adults before proceeding with trials on children, according to the Times of India. The vaccine could come on to the global market as early as 2015, the newspaper said. Sanofi chief executive Christopher Viehbacher was quoted as saying the final trials of the vaccine will take place across sites from Thailand to India because it needs to be effective among different populations. The majority of dengue fever patients experience flu-like symptoms but there is a strain that can lead to life-threatening internal bleeding. At present there is no licensed dengue fever vaccine, and attempts to develop one have been hit by various complications. Firstly dengue appears to be a condition that is unique to humans, making animal trials impossible, and secondly there are four different strains of the disease, all of which may be involved in an outbreak area. People with health conditions are advised to take out the most appropriate pre-existing medical travel insurance for their needs when they travel overseas, so that they are well protected against eventualities while they are away.